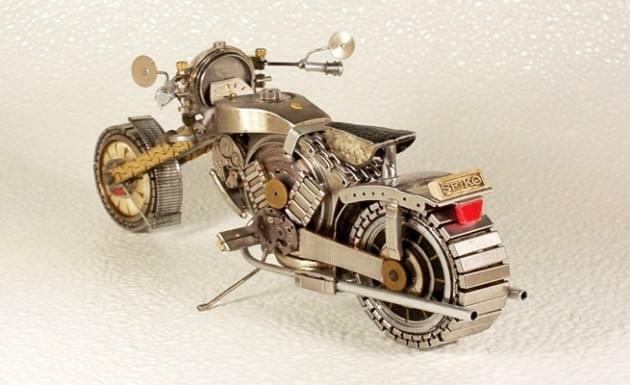 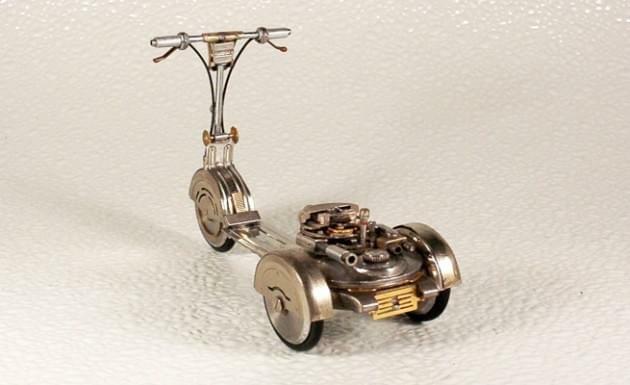 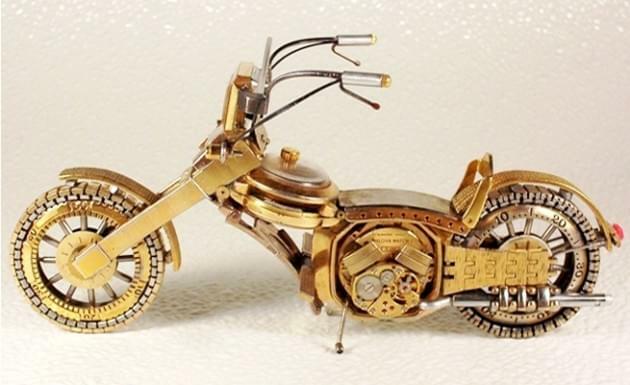 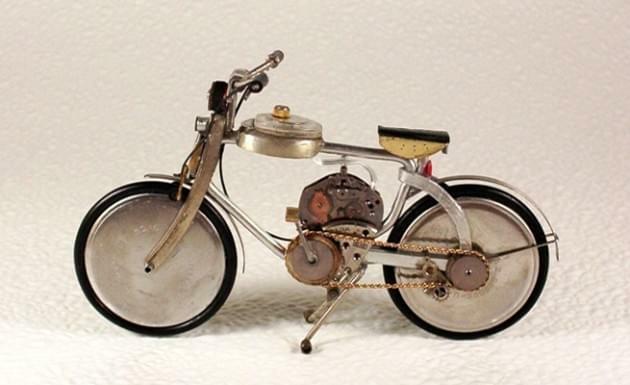 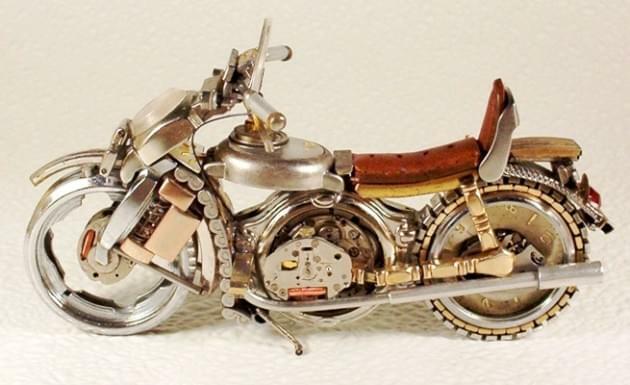 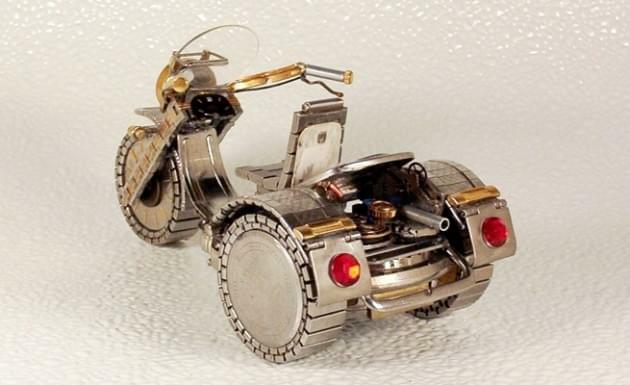 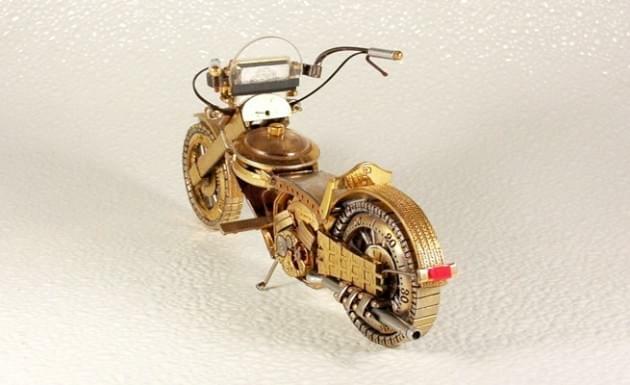 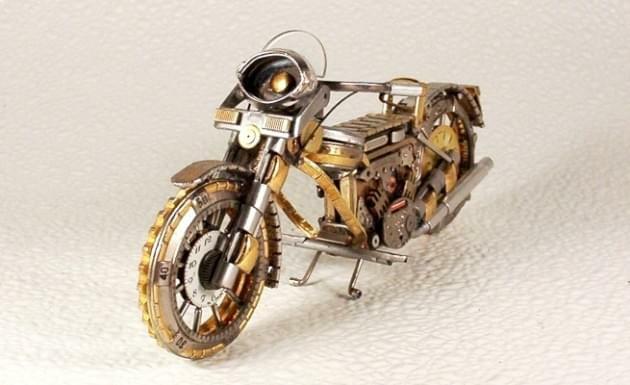 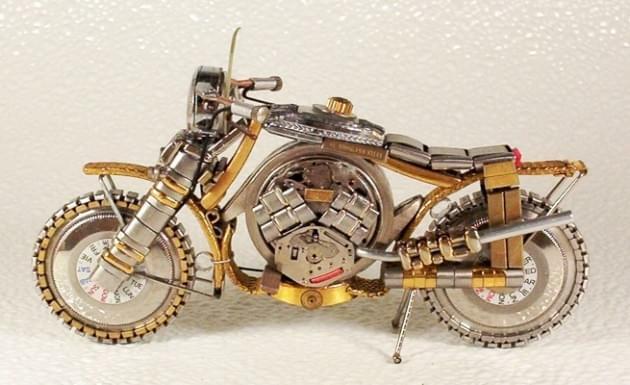 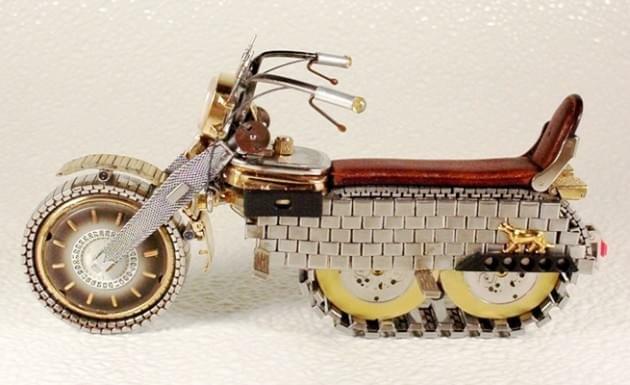 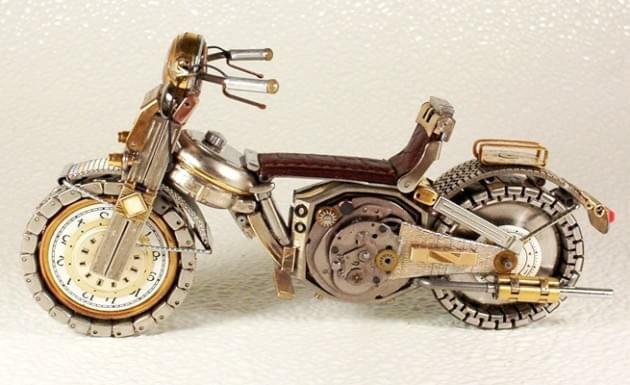 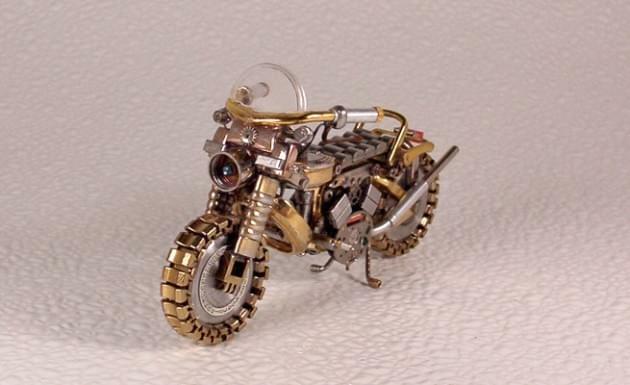 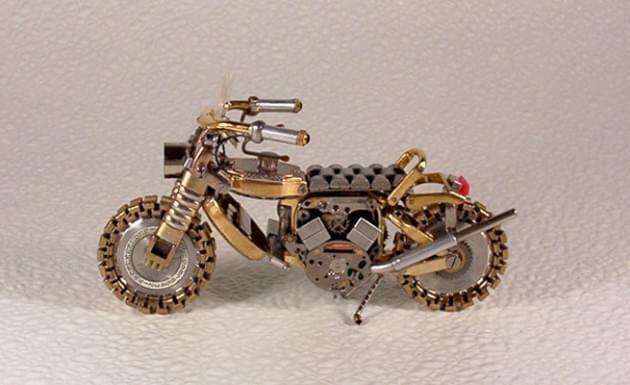 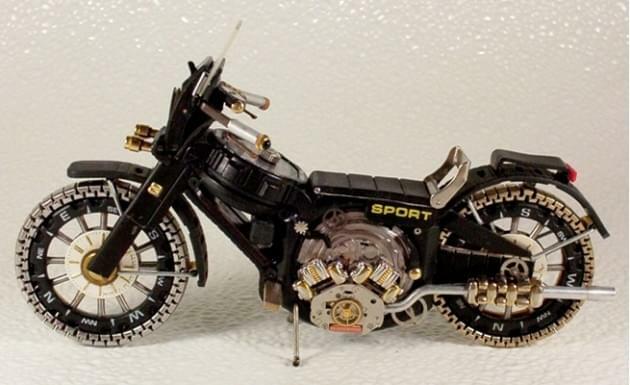 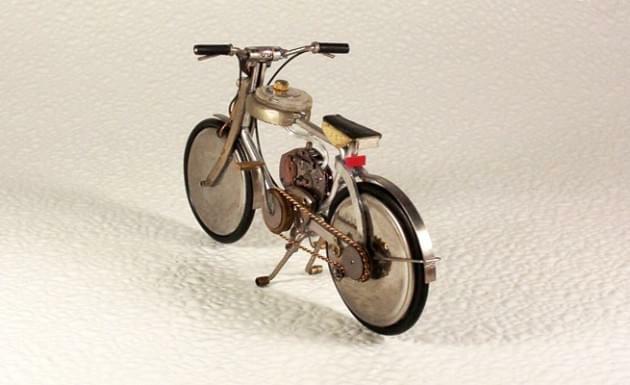 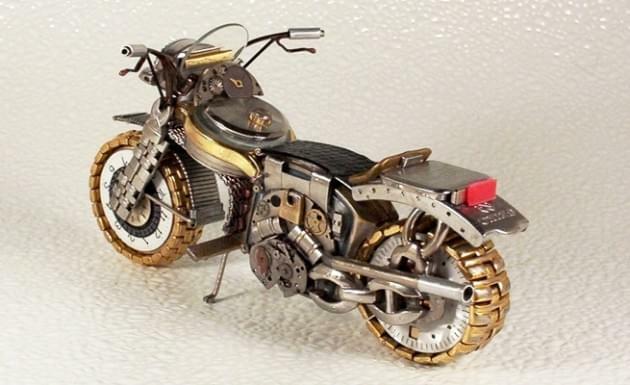 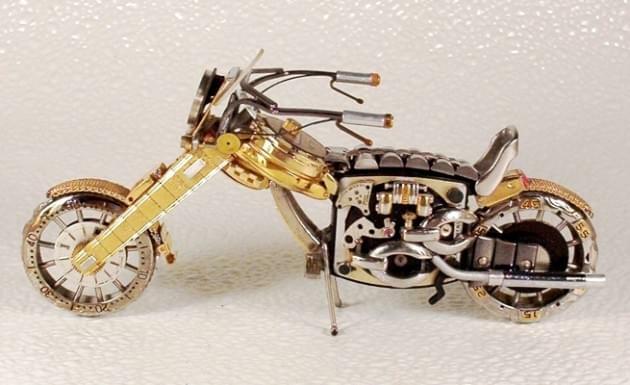 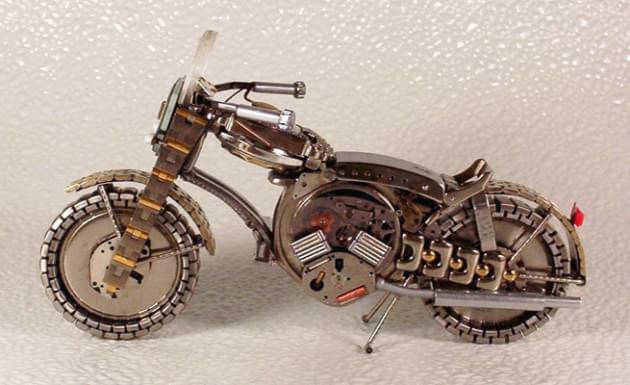 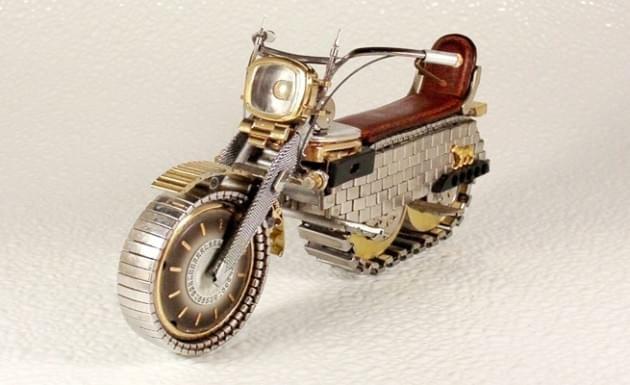 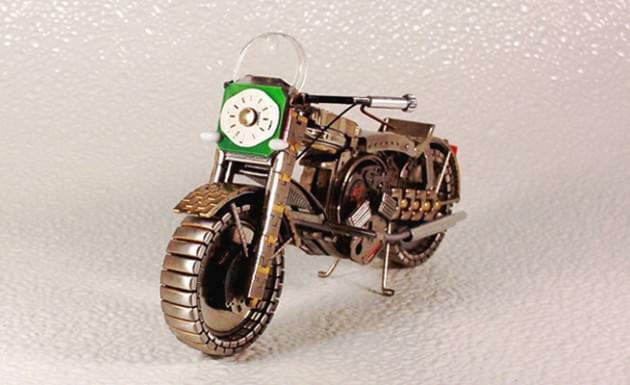 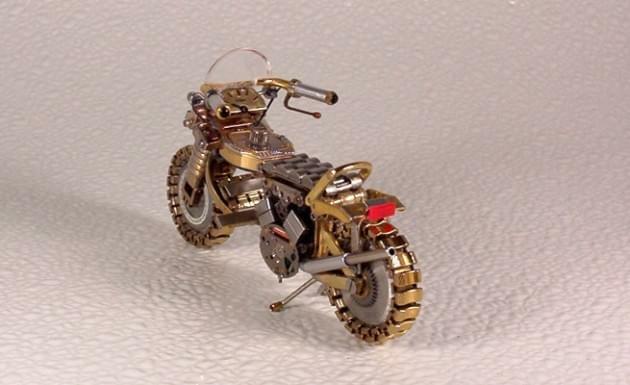 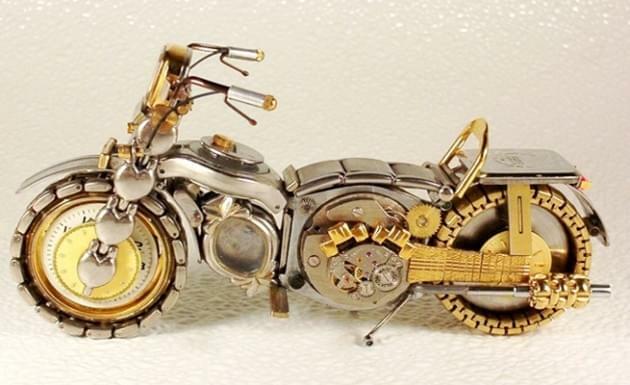 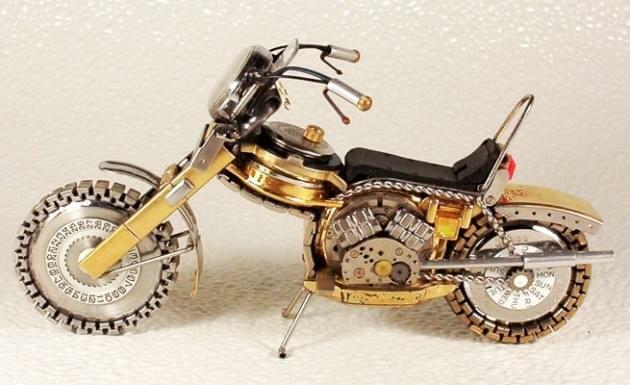 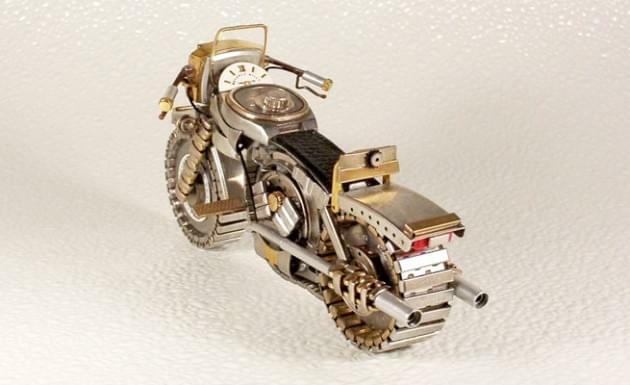 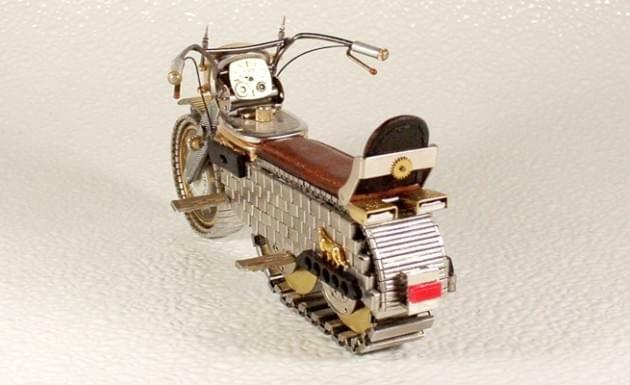 Dmitriy Khristenko, a USA-based ukrainian-born artist, creates miniature replicas of motorcycles and other vehicles (such as quad bikes, tricycles and bicycles), all built entirely from recycled wristwatch parts. 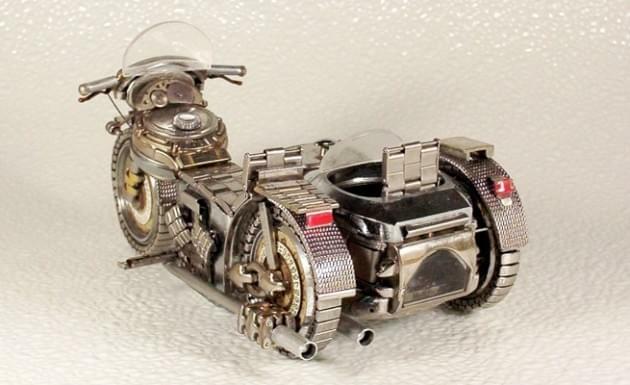 The wristbands are circled into tires while the glass of each timepiece face becomes the windshield of these model-sized vehicles. 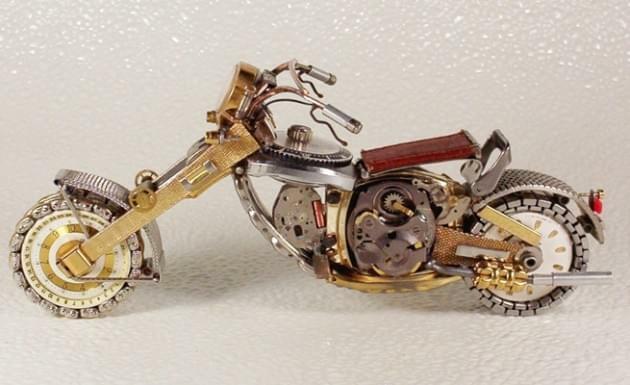 After khristenko disassembles each watch to begin the construction of one of his sculptures, he organizes and pairs components from various timepieces to combine them in one single structure. 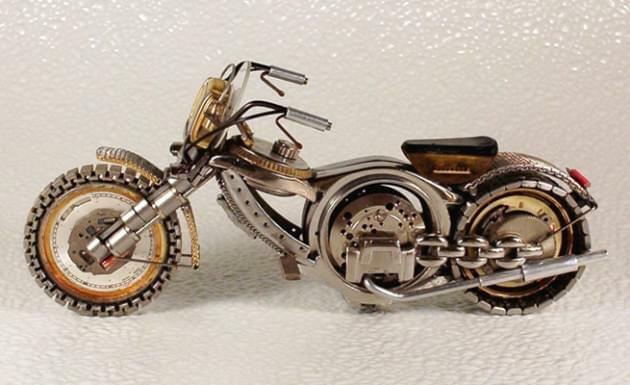 The artist binds the recycled watch parts together with glue to create a remarkably intricate finished work.